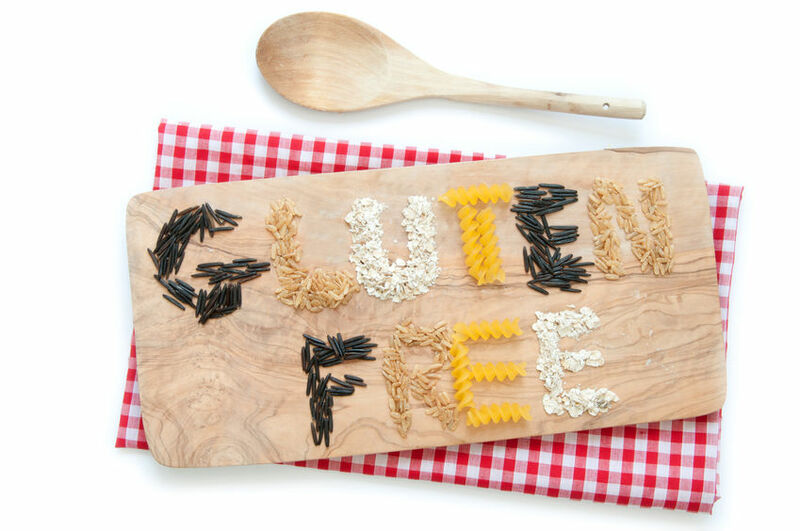 While many have an allergy to or intolerance of gluten, others choose to avoid it for a healthier diet. In summer the abundance of fruit and vegetables makes gluten free cooking easier, while the winter is a good time to do your own gluten free baking. The following seven tips explain how to save money while staying away from gluten. Branded 'Gluten Fee' foods are often available at supermarkets, but many regular brands are also gluten free and a significantly cheaper. Some brands of sauces, sausages, beans, crisps, pesto, rice cakes and chocolate are gluten free anyway. Check the label to be sure. If you live in a gluten-free household, specialty ingredients like olive oil, nuts, almond flour and coconut flour can cost as little as half the price in Costco compared to health food stores. If you're just buying for yourself, gluten free foods are often available cheaper online than in supermarkets. Look for alternatives to glutinous food in the supermarket ethnic foods aisle or Asian supermarkets. Pasta can be substituted for rice or rice noodles. Coconut oil can be used for desserts. If your supermarket or natural market has bulk bins, you can stock up on all your dry goods for much cheaper than packaged options. Staples like rice, oats, quinoa, ground almonds, seeds, and gluten-free pastas can be stored in bulk if you pour them into into airtight containers when you get home. These can be used for many recipes available online. However, if you are serious allergy sufferers, bulk bins may need to be avoided due to the risk of cross-contamination. It can be hard to make time to cook, but ready meals, frozen foods, and baked goods branded Gluten Free are marked up even more than pre-prepared food already is. A few extra minutes of prep time in the kitchen with some fresh ingredients will yield a wallet-friendly, tasty, and healthier meal. Instead of buying expensive gluten-free fish fingers, try baking a couple of salmon fillets alongside some roasted vegetable and steamed rice. Dried beans cost pennies compared to tinned ones. Making your own stock from vegetable scraps and bones is free; gluten free stock cubes are not. Gluten free cakes, breads, and biscuits more expensive than regular brands, but you can save more money by baking your own. Rather than branded Gluten Free flour, use an alternative flour like rice, soya, tapioca, maize, buckwheat, coconut and other nut flours. Many of these can be bought in bulk inexpensively from Asian speciality shops. Try each one and mix your favourites together. Knowing how much you're spending on groceries is important. Compare your spending regularly to see when are spending more and when you are spending less. Find out why the spend has changed and you'll become aware of when you are overspending. Money Dashboard is a personal finance management tool that allows you to quickly and easily compare related spending, by tagging transactions on your online accounts and sorting them into categories.